Matteo Pasquinelli, Professor in Media Philosophy, University of Arts and Design, Karlsruhe. Respondent: Alan Blackwell, Professor of Interdisciplinary Design, Computer Laboratory, University of Cambridge. 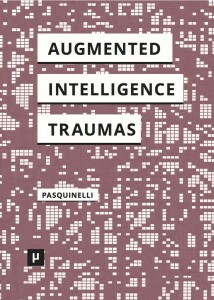 Matteo Pasquinelli is Professor in Media Philosophy at the University of Arts and Design, Karlsruhe, where he is coordinating the research group on critical machine intelligence KIM. He recently edited the anthology Alleys of Your Mind: Augmented Intelligence and Its Traumas (Meson Press) among other books. His research focuses the intersection of cognitive sciences, digital economy and machine intelligence. For Verso Books he is preparing a monograph provisionally titled The Eye of the Master: Capital as Computation Cognition. You are currently reading Cambridge, 14 Jan. The Undetection of the New lecture at Matteo Pasquinelli.